Alternative band sub:shaman have come a long way since their origins in the National University of Singapore (when they were called Cold Shoulder) back in 2012. From their coming out party at Baybeats 2013, to their adventurous Outsider EP and short film, to their remarkable split cassette with avant-garde Japanese rock band Qu, the dauntless band has always been genre-defying and creatively restless. Made up some very prominent Singaporean musicians, including Isa Ong (Pleasantry, Amateur Takes Control), weish (.gif), Hanis Isahak (Spacedays), Isa Foong (blankverse) and Syahadi Samad (Paris In The Making, Windtree) - it would be tempting to call them a super band. But that would be dramatically oversimplifying things. 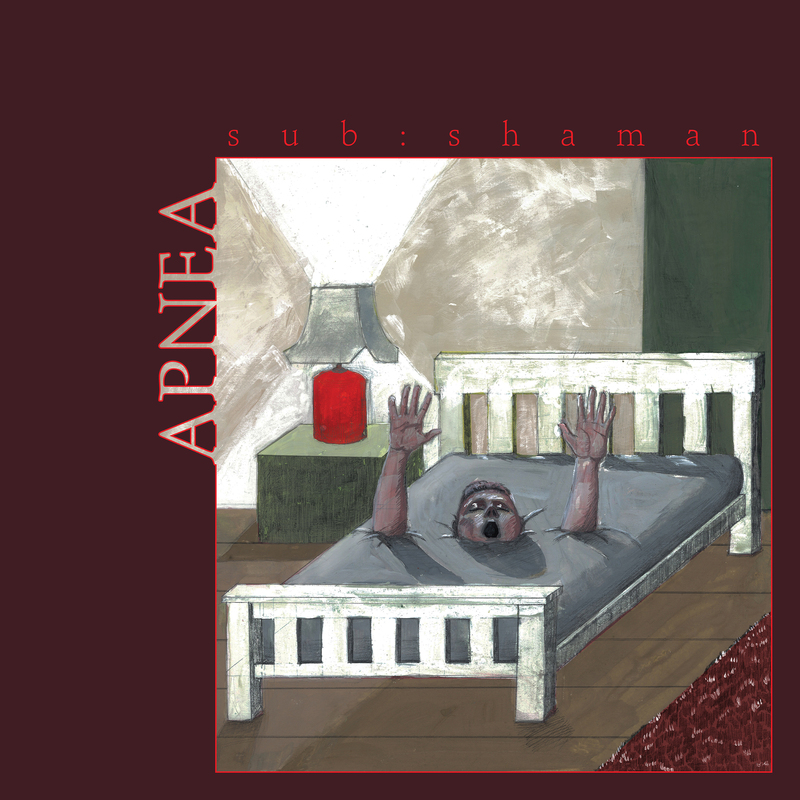 More than just the sum of its parts, sub:shaman is a medium for all that talent to coalesce into a limber, shape-shifting sonic monster that can squeeze into many boxes, but doesn't belong to any. Some call them "art-rock", others refer to them as "progressive", and while that's all true, it isn't entirely accurate either. Never is that more clear than with their forthcoming debut LP entitled Apnea. A nine-track album exploring "the chaotic and disorienting state of dreams, where images are bold and vivid and stories never linear or easy to comprehend" - Apnea feels like the first true representation of the band's evolving and diverse musical palettes. As frontwoman weish describes, "Apnea is cryptic, yet bares its soul; it narrates some of our biggest vulnerabilities, recurring imagery that haunts us in dreams, our relationship with sleep paralysis and insomnia. The album’s fragmentation and dissonance mirror our realities – at once foggy and clear, beautiful and ugly, varied and mundane." While Apnea is only set for release on 12 May, fans can already already pre-order the album on iTunes. In the meantime, the band have already dropped three of it's songs, namely 'Django', 'O Negative' and 'A-Hole', on all major digital music platforms. As we've mentioned though, 'Django' and 'O Negative' have previously appeared within their ilm split on Lithe Records, which means that lead single 'A-Hole' is our first real glimpse their freshman album. And boy, does it present listeners with an urgent, bombastic entry point into the LPs combination of "complex melodies and primal grooves". Listen to 'A-Hole' via Spotify below. Watch the trailer for their forthcoming 'A-Hole' music video below.